If you’re reading this review, chances are you’re looking for some information on Youngevity. Someone may have contacted you about the Youngevity business opportunity, or you may be considering purchasing one of the Youngevity products. But either way, I would encourage you to read this review in its entirety before making any decision. In this brief but informative review, I’ll cover Youngevity International as a company, the Youngevity business opportunity and what you need to get a totally unfair advantage and position yourself to have success if you decide that Youngevity is the right company for you. Is It What It Promises To Be Or Just Another Scam In The Market? I will tell you in advance that I AM NOT A YOUNGEVITY DISTRIBUTOR OR A YOUNGEVITY so this is a totally third party unbiased review of both the products and the opportunity. Youngevity – The Company – Who are they? Youngevity, founded by Dr. Joel D. Wallach, entered the global direct marketing network in 1997. By providing nutritional and healthy lifestyle solutions, Youngevity targets mostly health-conscious individuals to help them achieve their health and lifestyle goals. The company’s headquarters is currently in San Diego, California. Over the years, Youngevity has released numerous health and wellness products in the market. For years now, Youngevity has been a subscriber of the Organic Materials Review Institute (OMRI), which is a non-profit union that reviews products intended for use in certified organic production, handling, and processing. The Founder of Youngevity is Dr. Joel D. Wallach, who’s a biomedical research pioneer and currently a lecturer on the therapeutic benefits of vitamins and minerals. Popularly known as The Mineral Doctor and the Father of Liquid Mineral, Dr. Wallach worked 40 years in the field of Veterinary Medicine before becoming a Naturopathic Physician. He spent years researching on the health benefits of selenium and further minerals before deciding to create the products of Youngevity. Youngevity features about 400 products in the market, from vitamins to personal care items. With health and personal care products in the market today, anyone can get access to these products by first signing up as an Associate under someone who’s already in Youngevity. Among the products of Youngevity that are currently in the market, you will find Dietary supplements, Sports nutrition, Essential oils, Skincare and cosmetics, Lifestyle products and Gourmet healthy coffee. When you become a member of Youngevity, you become part of the company’s Business Building Associates. By becoming an Associate, you get access Youngevity’s entire catalogue of health, wellness, and personal care products. To sign up, you simply need to submit the Associate Distributor Application and a modest $10 registration fee. You will be given a virtual office on the company’s website where you can place orders. You get to invite your friends and family to join your Youngevity team and as your team and sales grow; your income will grow as well. Youngevity offers a compensation plan, called the Stairway to Success, which promises its members a fast progress. If a member qualifies for the Diamond status on the last day of the month, the company will pay as a Diamond for the whole month. There are many ways to get compensation opportunities with Youngevity, when it comes to its compensation plan. 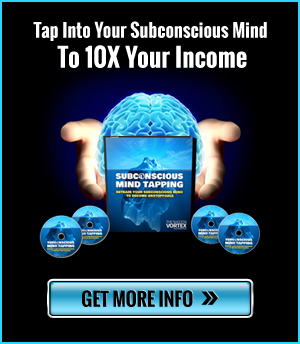 These include Retail Profits, Quick Start Bonuses, Reactivation Bonuses, Leadership Bonuses, Monthly Dream Bonuses, Revenue Sharing and Dream Car Bonuses. Youngevity – Does It Provide The Right Treatment For Your Skin? In closing, Youngevity is a credible company that offers a solid business opportunity to anyone who drinks water. However, even though this is the case, the company, the products and the compensation plan will not guarantee that you will have success with Youngevity. In fact, unless you learn how to become a professional marketer and generate a steady stream of quality leads to speak with about Youngevity, you will end up being another casualty of the industry. Pitching your friends and family will only take you so far. With this strategy alone, most people last between 6 to 8 weeks. On the other hand, prospecting complete strangers typically generates minimal results and can create some very awkward and embarrassing situations to say the least. This is why it’s extremely important to your success that you learn how to brand yourself as a leader in the industry and that you learn proper marketing techniques that will enable you to generate a steady flow of qualified leads. Without a steady stream of qualified leads to talk to about the Youngevity business opportunity, your chances of succeeding are slim to none. Once you learn how to use attraction marketing strategies, not only will you have a steady stream of leads, but many days your phone will ring with INCOMING CALLS from people that are seeking you out as a leader that can help them gain success. With a steady stream of leads, quite honestly, there’s no telling how successful you can be with your Youngevity business. Interested In Generating Leads For Your Youngevity Business? My recommendation is that you use a proven Attraction Marketing system that allows you to brand yourself as a leader, generate leads, make money even when people don’t join your business and sponsor people on the back-end. If you can successfully combine a powerful online marketing system with time-tested offline marketing techniques, there’s no telling how successful you can be with Youngevity. If you are looking for ultimate success with your Youngevity business, it will require a working knowledge of personal branding and lead generation. Learn to build your Youngevity down-line by being an Alpha Networker both offline and online. Additional online training to help you Sponsor More Youngevity Reps is available with Darren Little. 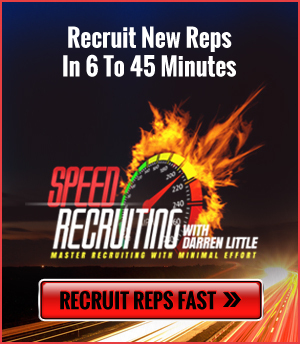 Additional online training to help you Sponsor More in MLM is available with Darren Little. MLM industry nowadays is really getting bigger but we should always chose the right MLM business before joining it.. Great review! Great article. I learned a lot from this article. Thanks for the information. One of my downline’s approached me about this company…so out of curiosity did a search and found your site. I still find it interesting to find MLM companies that push hundreds of products in tons of niches (for anybody that drinks water:). You’ve made good points about marketing the business…it’s not easy for sure! A Letter to Dr. Joel Wallach – Founder of Youngevity, Inc. I am writing this letter because I’m so mad about the way I’ve been treated by Youngevity that I can’t sleep at night, and it’s effecting my health. I’m quite sure Dr. Wallach, that you no idea how bad the customer service department of Youngevity really is. Every time I call them, no one will ever let me speak to someone who can help me with my problems. Because I am a distributor, I’m not go to tell anyone I know about the Youngevity opportunity, until your customer service department has been fixed, because if I tell someone how great Youngevity’s products are, but do whatever you can to stay away from their customer service department, my reputation is on the line and so I will continue to take the products, but no one else will know about Youngevity, because of the non-professional, kindergarten minded idiots who work in Youngevity’s customer service department. I suppose that the MD in you Dr.Wallach just won’t understand that the customer is always right; I guess you forgot to instill that into your customer service department. Their lack of respect for their customers is pathetic. Here is the incident that really ticked me off, and how I will not stop telling my story to everyone who will listen to me, because Youngevity fraudulently took $46282 from my wifes checking account, and they will not return it. No one at Youngevity will listen to me, and I’m hoping that if I can share this with other Youngevity distributors, they can possibly avoid my fate, but I doubt it. Approximately 3 weeks ago my wife came to me and plopped down four months of bank statements on my desk, that had been charges for products that she never received and I never received (my wife and I are separated). I am 57 years old, and I am disabled, so my ability to get around is limited since I have no car. I was told by a customer service rep that I would need to fax to them the two sets of banks statements, both my wife’s and mine. Youngevity has taken out $462.82 from her checking account over four months. During those four months, I received my personal products that I received on autoship, as usual, so I never knew there was any problem with finances until my wife brings me her bank statements. I had to walk a half mile to the UPS store to have the bank statements faxed to Youngevity. Total cost $10. The documents were faxed to Youngevity last Friday, March 13, 2015. I never got a response from anyone at Youngevity. On the fifth day of waiting I called them on Tuesday, March 17, 2005 to find out what was going on. Customer service had no idea and the lady said that someone would call me back. I’d already been told that five days earlier, and there was $400 involved here that I couldn’t afford to lose, so I told them it was extremely important that I speak to someone who could help me straighten this out to put back the money they had taken from my wife’s account. Guess what the customer service idiot did? They forwarded my call to a manager whose voice mail was full, so there was no way I could send them a voice mail. I was so pissed off that I immediately called back and talked to a different customer service rep and I asked them if I could please speak to a manager. To my amazement, that person does the exact same thing, and throws me into a voice mail of someone who’s mail box is full and I was hung up on again! I called back Youngevity at 8AM on Wednesday, March 18, 2015 and by this time, I was so upset that I was shaking when I called them. I told the person who answered the phone that I would not hang up the phone until I was able to speak with a manager. This time I called the auto-ship department. The girl who took my call said no manager was available, and could she have someone call me right back. I just wanted was to speak to a live person, so I said yes. Twenty minutes later a manager called me back, and I explained my situation to her. She said she would look into it, and call me back. She then calls me back, and says that she needed me to resend the document to the attention of Katie. I walked another half mile to the UPS store to send another fax. Total cost $10. By this time I could hardly walk, my knees hurt so bad. A while later the manager, named Lisa calls me back and tells me they won’t give my wife her money back. She claims that she called UPS and they said that the packages were delivered to a man who received the packages. If the manager at Youngevity was a professional, she would have asked her own shipping department about the four orders to see if they were even shipped. And then she should have called UPS to confirm that those same four orders were shipped and received and their end. Instead, the pea-brained, unable to think outside of the box, knucklehead simply calls UPS and asks if the packages were delivered. And of course UPS said they were delivered to a man who received the packages. How absolutely un-professional can you be. I am at a loss for words right now, but I will guarantee you this. This wrong will be righted. It’s now the weekend, we are out of grocery money, I am disabled and I nothing left to do but sit at my computer all weekend and contact as many Youngevity reps as I can to let them know how I’ve been treated by this Mickey Mouse company. My research online has told me that apparently I am not the only person who’s had problems with Youngevity. It’s all there online for everyone to see. My advice is to read what’s there and then make your decision about what a lousy company Youngevity is before you invest your time and effort in a company who doesn’t care about its customers. I hope that when you receive this email, you will have the decency to forward it letter to as many people that you know that are in Youngevity, so that no one else will have to suffer as much as I did. This was NOT the first time that I have had problems with their customer service department. This kind of treatment is unacceptable, and I will not stop telling people about how I was treated until everyone hears about this. And just so you know I’m not just blowing smoke, I giving you my email address as well as my personal phone number so you can contact me. You might want to let Youngevity know that I’ve already contacted newspapers and television stations about this. This should not happen again ever!